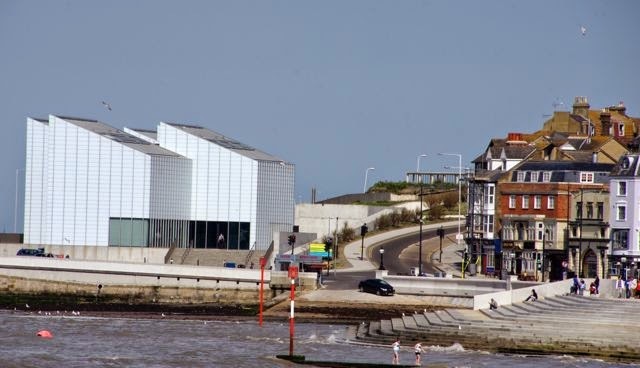 A walk to Margate this afternoon and an opportunity to test a new premium telephoto lens from Pentax. It's an 18-270mm and compares very well with the fixed 200mm I have started using to take aerial photos, with the highest definition from a fast-moving platform. The beach at Margate is quite busy in the bright holiday sunshine and it's pretty obvious that school is out for Easter from some of the young people along the High Street. There were other characters I would like to have caught on camera but they appeared unusually aware of what was going on around them and equally sensitive to a telephoto lens, even at a distance. They rapidly evaporated from the shop doorways when they spotted me. 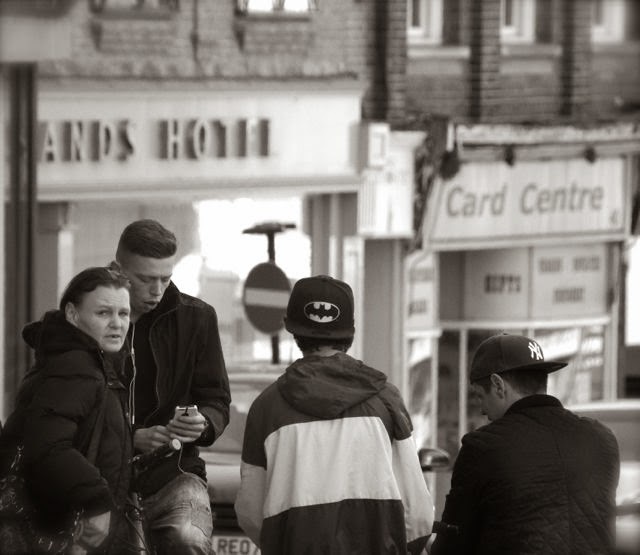 These shots now represent a part of the street-scene that I'm sure most of us are aware of but which is rarely if every captured, as we prefer to concentrate on the type of seafront photo, by way of contrast further below, that everyone else recognises. What I wanted to illustrate, are some of the harsher contrasts in the small world that is the town and if you visit my photo library here, you'll see my attempt to capture life in Margate, in every sense. No more news of Manston yet but I'm sure some readers will be interested in this video, which explains the Stagecoach business model. It did come as quite a surprise to me and illustrates what a shrewd business-women, Anne Gloag is. I love street photography Simon what I detest is the PC brigade including some un trained and ill judged police say you cant take a picture of this or that.